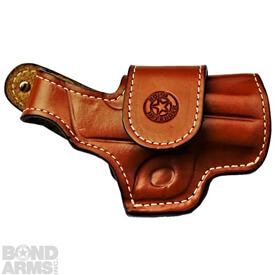 The Bond Arms BABS Leather Ammo Holder is the best way to carry a few extra rounds at all times. 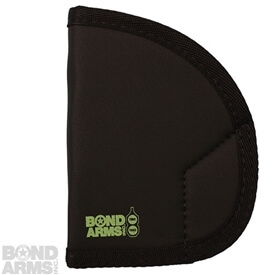 This all leather, slide shell holder keeps four shells close at hand for a quick reload. 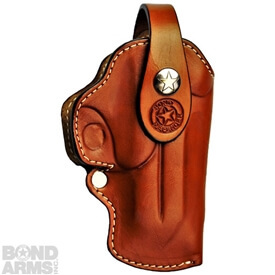 With two different attachment methods, Steel Clip or 1 1/4" Belt Loop, we are sure you will find a Leather Ammo Holder that fits your needs and tastes. 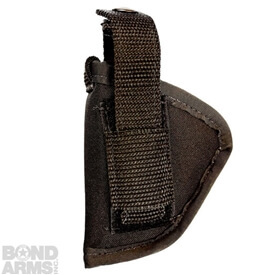 Caliber Sizes: .45 Cal./.410 loop sizes or.357/.38 Special loop sizes.